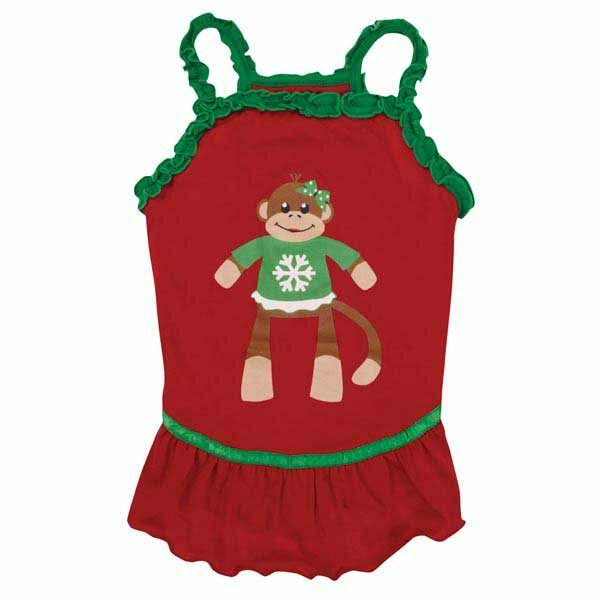 This Holiday Monkey Business Dog Dress sports our exclusive Monkey Business character Tiff! Our most popular sleeveless pullover dress style comes complete with a charming ruffle skirt. Trimmed with green ruffle edging and a satin ribbon. Machine-washable. Swing into the season with our exclusive East Side Collection® Holiday Monkey Business Dog Dress. Care: Turn garment inside out before washing to protect logo. Machine wash in cold water on gentle cycle. Line dry.